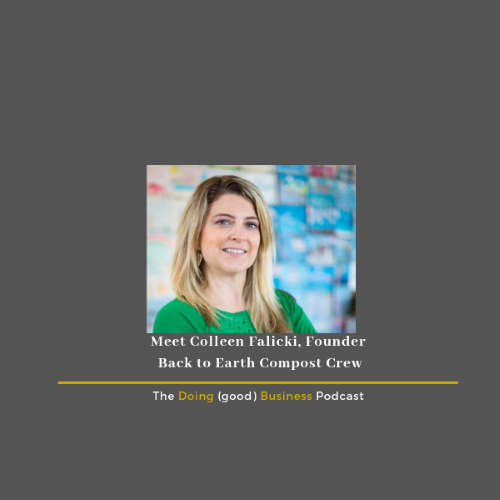 In preparation for Earth Day on 4/22, D(g)B welcomes Colleen Falicki of Back to Earth Compost Crew! We think affectionately think of Colleen as the Composting Concierge! Her company helps businesses compost all kinds of things - and she tells us exactly what you can and can’t compost - and why a company should do it! Learn about Colleen’s values as a leader of an environmental impact company, how this industry is growing, and perhaps our favorite quote, “Constant improvement is better than delayed perfection” Find Back to Earth on Facebook, Insta, and Twitter.